Backlinks are soul of SEO currently, the total number of backlinks and quality of backlinks directly influences site's SEO. Wait who doesn't know that? But Google is rolling out brand new update just for paid backlinks. Before going further, what actually is a backlink? It's an hyperlink to/from another website which tells search engines that the following site can be trusted. The blog article is a guest post. He/she gets paid for it. Why Bloggers do they do not give backlinks? They do not want their subscribers to go out of blog unless they get paid for it. ( Ads or affiliate marketing). Giving wrong backlinks could affect site's SEO. Why Google hates paid backlinks? Google's main objective is to suggest suitable website for the user's query, if suggestion is mainly based on backlinks, then one who spends maximum money on getting backlinks ranks first. Which is not at all Fair. SEO and SEM are business created by Google and Google doesn't get paid anything for backlinks which is major part of SEO. What action is Google taking against paid backlinks? Google has created a Paid backlinks report form, where one could report paid backlinks of other site, This is being widely used by companies where one company is reporting other competitors backlink. Google then tries to identify pattern as to detect all backlinks in the pages they have indexed. Upon getting a pattern, Google will roll out its algorithm update to penalize sites depending on the number of paid backlinks they have. Recently in Google Developer Days, Google said the backlinks should not only look natural but should be natural. 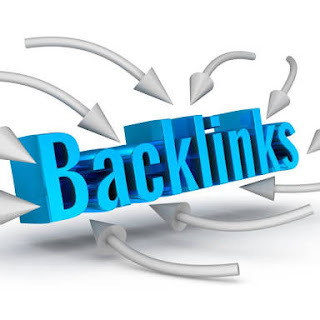 I suggest you not to buy any backlinks as your site not only will be penalized soon by Google, but if you are paid backlinks savy and cannot help but get backlinks to your clients, follow these rules to keep site safe from being penalized by Google. Never Include UTM Parameters in backlinks, just never do it. Maintain ratio of brand anchor text to other keyword rich anchor text 2:1. It's preferred to get backlinks to indexed pages only. Getting more than 2 do follow backlinks from same page of a website is not recommended. Get more backlinks from growing sites ( DA<25) than already established sites.